Wouldn’t you like to know what your target audience wants in their digital magazines? 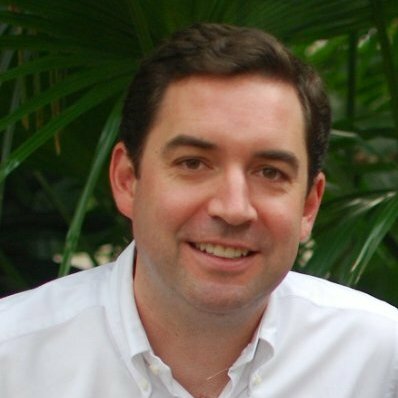 Or what digital editions they deem most important, and that can drive the most revenue? How much would you pay for that, along with all the other insights from your readers? Before diving into any investment, especially in a new publishing platform, it’s always wise to ask if it’s a profitable venture. So when we tell you to expand your magazine into digital platforms, your first question is: what’s the ROI? It’s a valid concern. Below are three answers to our most commonly asked questions that may help you with that internal debate. First of all, do consumers even want digital magazines? Yes, and they’ve proven so with their buying habits, but not in the way you might expect. While tablet magazine apps are seeing low adoption rates, we’re seeing responsive web magazines grow. And it’s no wonder, given everyone already knows how to use and navigate the web. A responsive HTML edition that works on any device is an easier adoption than a new app, and less expensive for you to produce. What do they want most from their digital magazines? They want to read them. Easily. Every time we have run a survey, the number one most important thing that digital magazine consumers tell us, is that readability is most important. That means no more PDF magazines and no more replica editions where the user needs to pinch and zoom their screen to read and scroll. How much are they willing to pay for all of this? Our pricing tests show that when given price points of $19.97 for a print edition, $29.97 for a web edition that includes a digital archive, and $34.97 for all of the above—70% will choose the most expensive offer. Compare that to your $10 blow-in card. If that doesn’t convince you, I have more data for you in our NEW 2018 Mequoda Magazine Consumer Study. Thanks to the internet, consumers are telling us loud and clear what they want—are you listening? How much would you pay for that information? 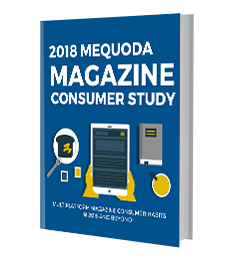 Download a copy of our 2018 Mequoda Magazine Consumer Study for FREE instead, to find out how you can improve your digital magazine rapport with subscribers. And if you want to talk more about everything you’ve read, and how to apply it to your own business, schedule a call to talk with a member of our executive team. Tagged with content, digital magazine, digital magazines, email, high quality content, magazine, magazines, mequoda, multi, multi-platform, multiplatform, multiplatform publishing, publishers, tablet, web magazines.